If anyone has seen the new home renovation show on NBC, American Dream Builders, you’ll recognize the host, Nate Berkus. A fabulously talented interior designer who runs Nate Berkus Associates and has made a name for himself authoring design books, releasing and showcasing his signature style and product lines, and now, as a TV personality. While his designs and style are simple elegant, they carry an air of masculinity. He blends modern design with classic style and personally, that’s what design is all about. Inspiration is the initial focus for all his projects and he encourages anyone and everyone to get inspired and decorate his or her own home. In one of his books, The Things that Matter, Nate opens up about himself, inviting people to into his own home to learn about the experiences and people that shaped him and his style. After he established himself in the design world, in 2012 Nate introduced his signature style and product line to Target stores for the Target Home Collection, essentially inserting himself into homes across America. He’s also launched a fabric line at Calico Corners last year. Check out some of his product lines and designs below! 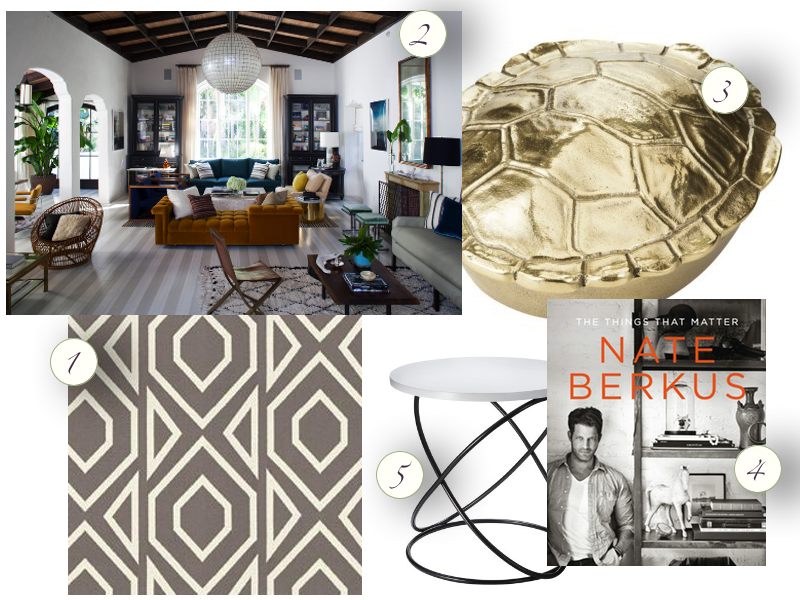 And you can take a better look at Nate’s work at www.nateberkus.com!